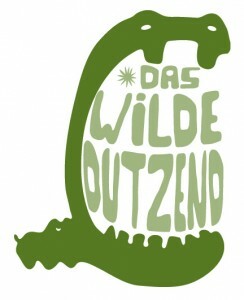 Germany’s Rowohlt and Berlin-based startup Das Wilde Dutzend (The Wild Dozen) embody the latest thinking in transmedia storytelling, one is re-imagining the thriller and the other, fairy tales. In the German publishing landscape, transmedia storytelling has been utilized to bring stories to life and enable reader involvement well beyond the book itself. Transmedia campaigns which combine media such as blogs, social media platforms, photos and videos to introduce readers to a book’s backstory are developed by creative digital and marketing agencies in cooperation with publishers and authors. For instance, the Berlin-based agency “vm people” are one of the trailblazers in this field. The 10-year-old creative agency has come up with transmedia campaigns for all kinds of books, from young adult to crime fiction and guerrilla gardening. One of their most recent collaborations is Deathbook, a serial thriller in 10 installments. Deathbook is more than a book — it’s a multimedia world that manifests itself throughout social media, on blogs and via QR codes, in which a horror story is brewing that threatens to spill over into real life. The concept is the brainchild of the German Rowohlt Verlag, a large publisher of trade fiction and nonfiction which belongs to the Holtzbrinck Group. Earlier this year, the publishing house enlisted thriller author Andreas Winkelmann to write Deathbook, a digital serial novel about a string of inexplainable deaths related to the internet and a “network of death.” However, readers don’t have to wait for the first serial to be released to enter the story. On the “Posten und Sterben” (“post and die” ) blog, readers can delve into the story via the ramblings of a frightened blogger trying to warn the online community away from an evil force on the Internet. 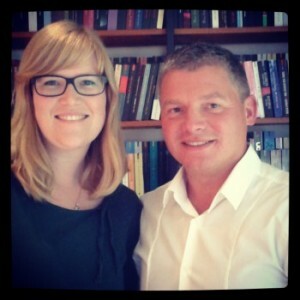 Behind the blogger character is not the author Winkelmann, but the freelance writer and slam poet Insa Kohler. Kohler was chosen through an open call for submissions to participate in a workshop with the author and publishing team, along with filmmakers and vm-people, where the creative team developed the framework of the thriller story and its myriad manifestations. In fact, part of the Deathbook team’s goal with this project is to create a truly transmedial text – a story which only works when the “reader” perceives it in all its dimensions to put the pieces together. Each image and video, each GPS coordinate hinted at represents another aspect of the story, another rabbit hole which participants can chose to enter. The 10 apps / enhanced ebooks which contain the bulk of the story likewise use multimedia, including embedded videos and animated chat exchanges. For those who prefer their stories in more traditional packaging, Rowohlt will be bringing out all ten parts as a print book this month. 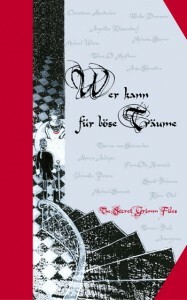 Their first release, Die Guten, die Bösen und die Toten, was also accompanied by an elaborate background story: Adele, the turn-of-the-century detective who was commissioned to find the historian and morgue photographer, Johan von Riepenbreuch. His collection of macabre writings and poetry was supposedly discovered in the attic of the Hamburg artist Ebeneeza K, who illustrated his eerie writings. Earlier this year, the press organized “Wonderland”, an all-day fairytale event at the historic Babylon cinema in Berlin. Alongside short films, storytelling and live radio plays, the Wild Dozen organized a fairytale contest on Twitter and invited two of the authors to read from the press’s latest anthology. Christiane Neudecker, whose story the collection was named after, sent a chill down listeners’ spines with her reading, and clearly relished the chance to substantiate the myths surrounding the anthology’s origin in the question and answer session. In the Wilde Dutzend headquarters in Berlin, fans can step back 100 years in time and see a reconstruction of Adele’s detective office, which is reminiscent of 1920s Berlin. In Berlin, the press organizes monthly salon evenings at which readers can follow Adele’s trail of clues and come closer to solving several of the mysteries. These two projects are just a small sampling of the transmedia storytelling initiatives in Germany. For more information and to follow the latest developments, check out the Transmedia Storytelling Berlin blog.